So many times when I find great items I want to share them. So once a week I will be sharing a few of my favorite things with you. The other day I was looking for a large calendar to hang on my wall. I stumbled upon an artist on Etsy whose work is wonderful. I've order a couple of things from her so far, and I'm thrilled with her printable art. You order, pay, and get an email with the downloads. How great is that?! This is a screenshot of her Etsy page. Click it to go to her shop. I bought the Floral Printable Calendar for 2016 (the first one listed above). I printed it out on 13x19 photo paper on my large printer. It would be great on 8.5x11 too. 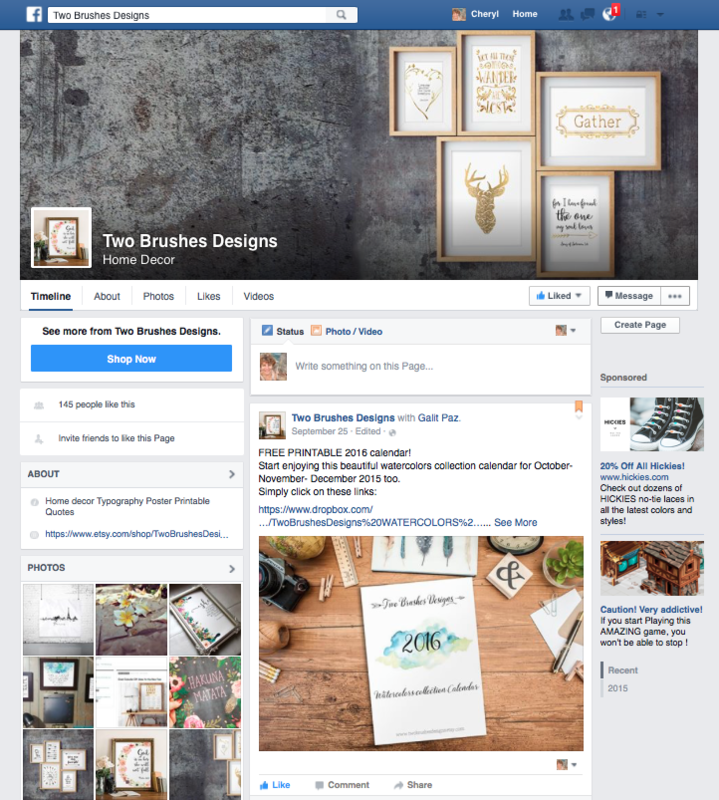 Pop over to her Facebook page, Two Brushes Designs, as well. She has a FREE PRINTABLE 2016 calendar. I have printed the pages out, put them on a clipboard and hung it on the wall. LOVE IT! Pop over and check it out...Then head to her Etsy shop....Christmas is coming and her work would make great gifts!